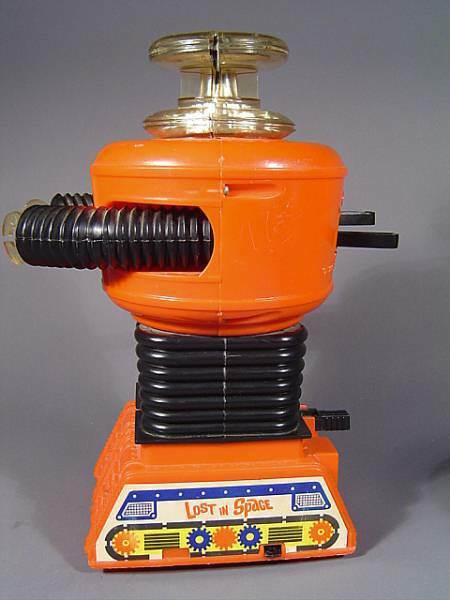 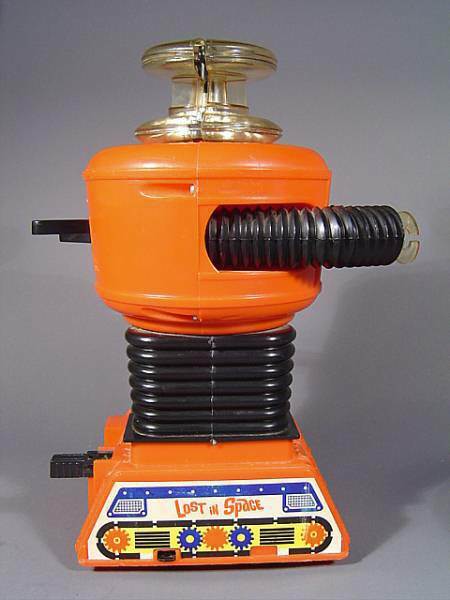 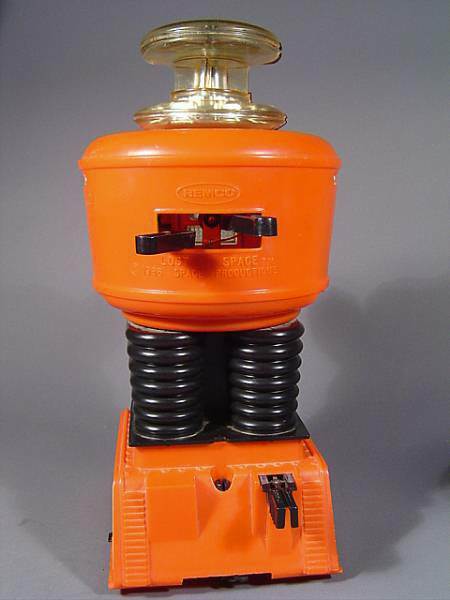 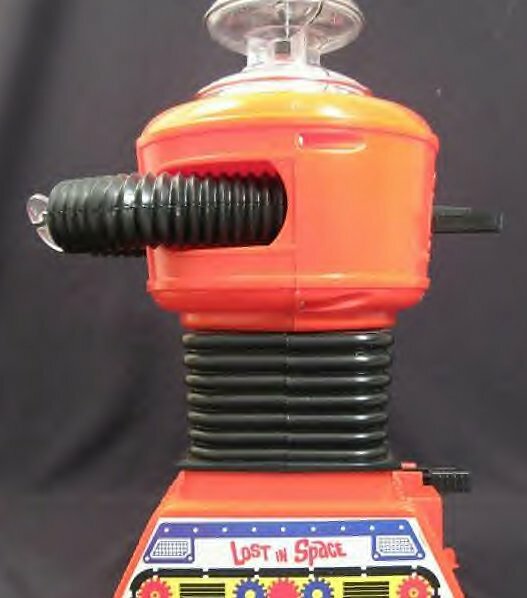 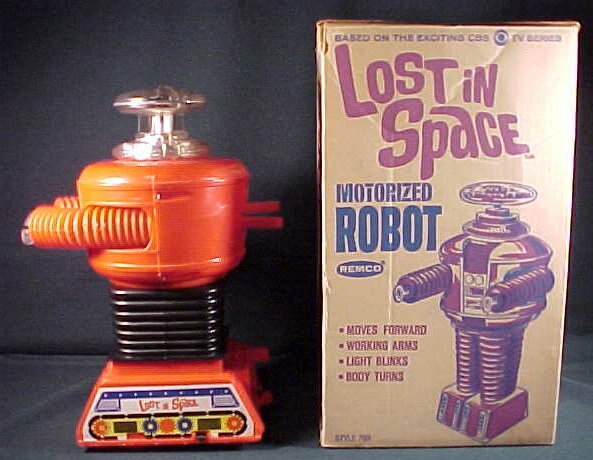 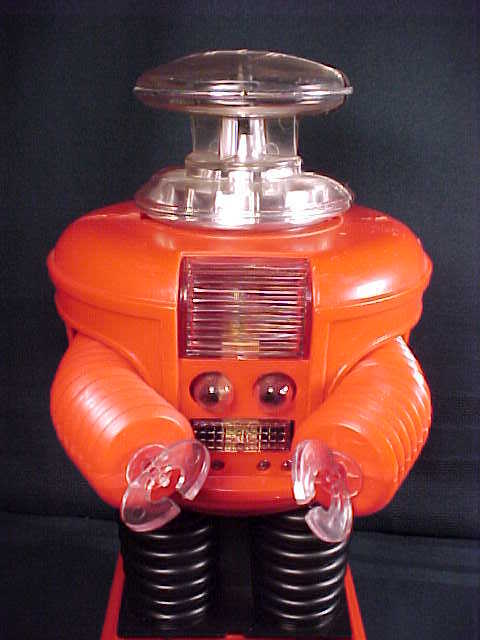 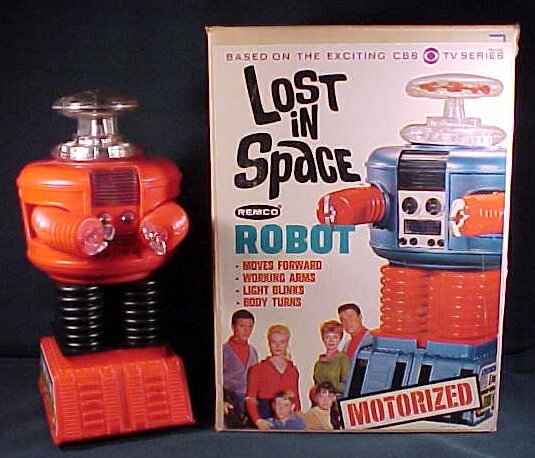 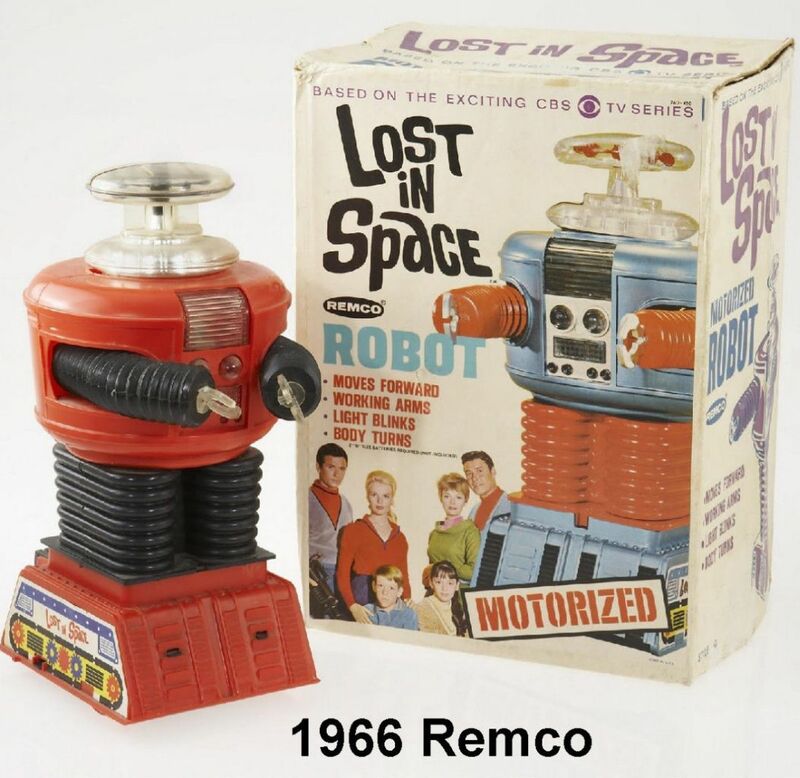 1966 Remco Toy Company Battery operated "Lost in Space Robot"
Cool! 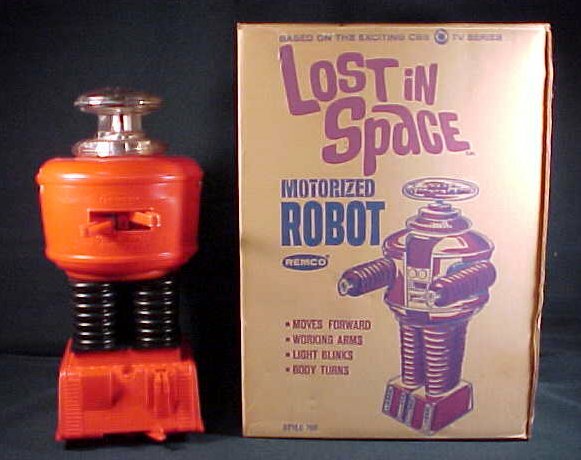 What a toy, this Robot measures 12 1/2" tall. 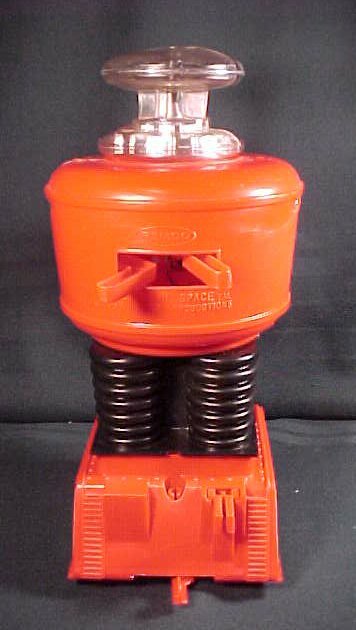 He is made of strong plastic with metal workings. 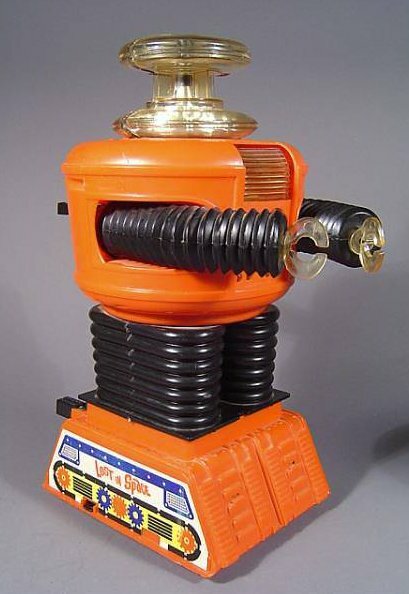 This Robot was offered in several different color combinations, but this is without a doubt one of the most difficult color combination to locate. 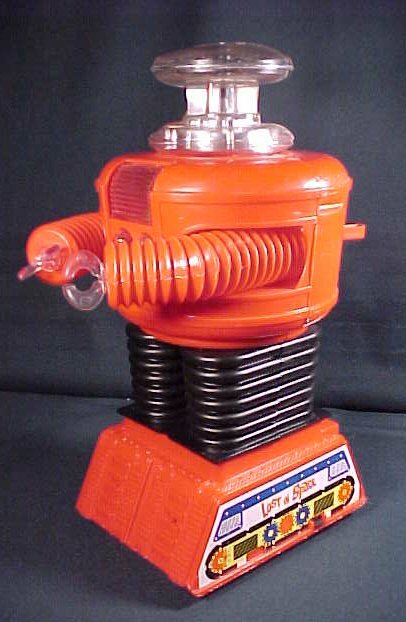 This Robot has an awesome clear plastic head with both dome rings. 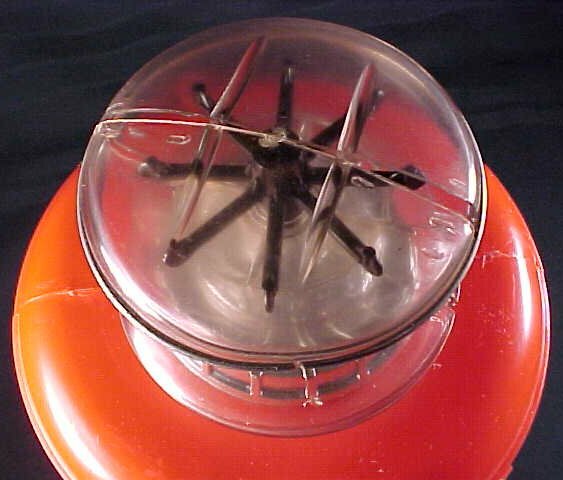 Comes complete with spinner, & very clear plastic claws. 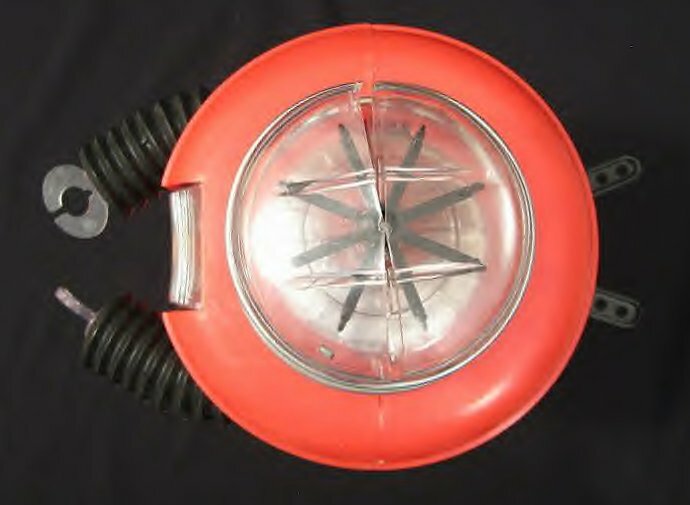 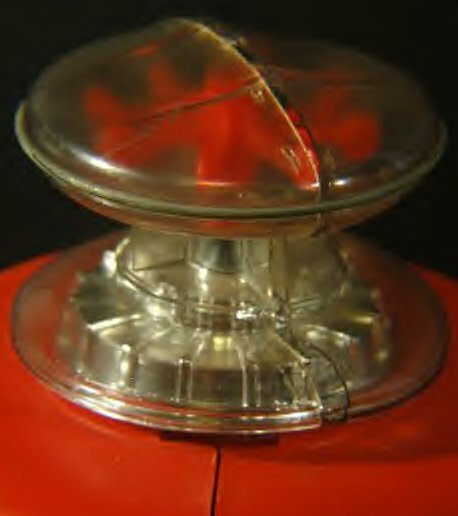 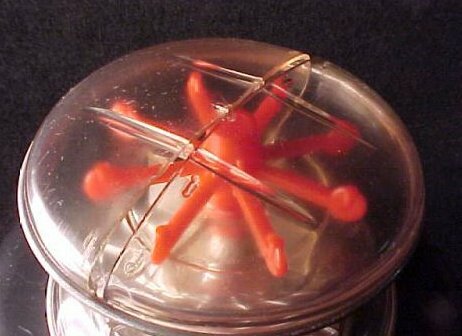 He features steerable forward movement VIA the single wheel control knob on bottom back and visible light through the clear plastic chest cavity. 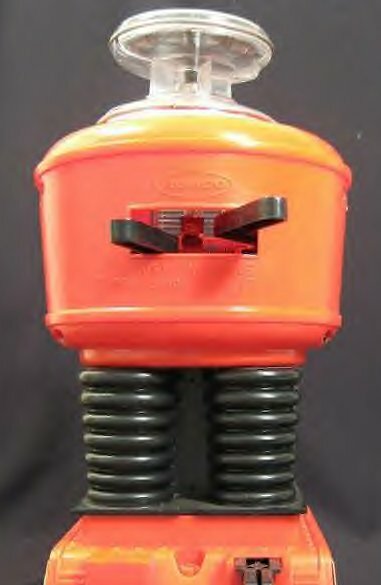 The arms can be opened and closed with the two spring activated arms in the rear center of the Robots back. 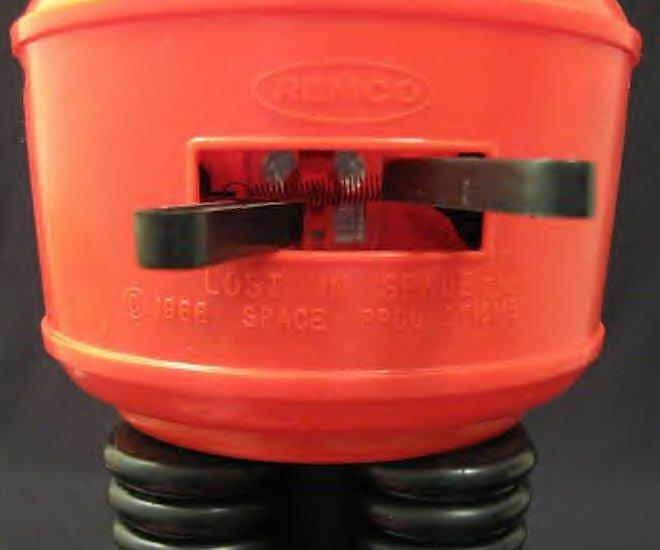 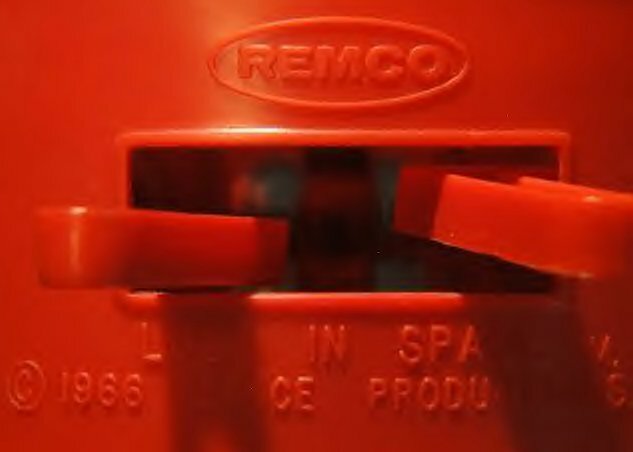 The on/off is controlled by the push/pull out switch located on the lower bottom back. 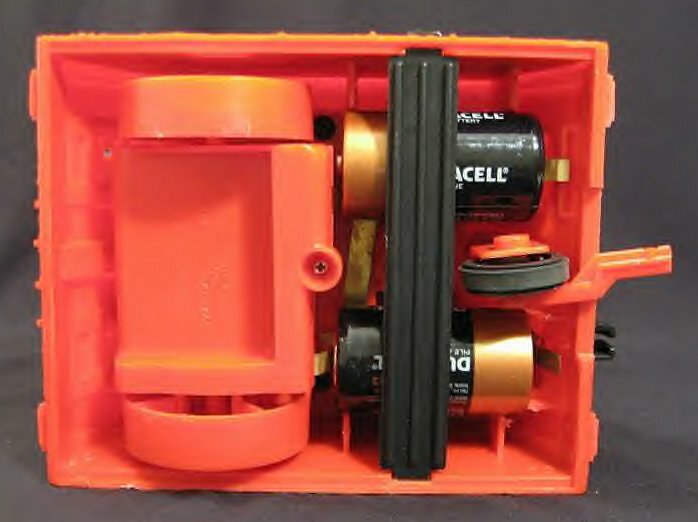 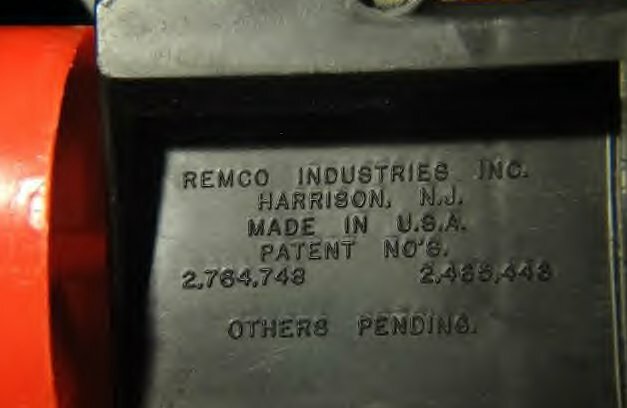 The motor and battery chamber is located on the underside and comes complete with battery bar. 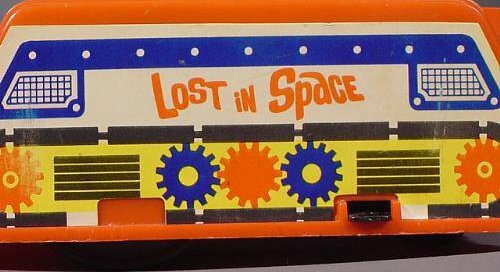 The two Lost in Space stickers are found on either sides of the base.